Ozone and particle pollution can both have adverse impacts on people's health and are largely the result of human activity. However, people should not assume that the two are one and the same. Nitrogen oxides and volatile organic compounds are both involved in their formation, but in different ways; they are classed as precursors to particle pollution but are not the direct source1, while ozone is the result of their reaction to sunlight. Additionally, the effects on people’s health are also different and is not limited to asthma. An ideal way to keep track of VOC emissions and other dangerous chemicals, such as carbon monoxide, in your home is with a smart indoor air quality monitor, which can inform people when their health may be at risk. Many people are aware of how the ozone protects our planet from harmful UV rays in the stratosphere, however, at ground level, ozone can have harmful effects on humans and our environment. It is currently considered by the American Lung Association as one of the most dangerous and least controlled pollutants in the United States (2). Ozone is a gas and is created when an O2 compound is joined by another oxygen particle, becoming o3 - a compound of three oxygen particles. Ozone occurs more frequently in sunny and hot days, usually in the afternoon or early evening. High temperatures in summer, spring, and fall are known to contribute are known to contribute to increased levels of ozone at ground level (5). Breathing in ozone can lead to a number of health issues, such as asthma. Those most at risk include children, the elderly and those who already have lung diseases (6). Respiratory symptoms of inhaling ozone include throat irritation and coughing, congestion and chest pain. It is also known to worsen emphysema and bronchitis. People who are repeatedly exposed to ozone can risk permanently scarring their lung tissue (7). Ozone was also linked to approximately one million premature deaths around the world in 2010 by Scientists at the University of York's Stockholm Environment Institute (8). Fine articles, which is also referred to as particulate matter (PM), are pollutants made up of a variety of extremely small solid particles and liquid droplets that get into the air (9). It can come in many forms, such as smoke, aerosols, mists, ash, soots and condensing vapors (10), and they can be made up of hundreds of different particles (11). Two significant groups of pollution include PM2.5 and PM10. Combustion of fossil fuels and wood. Dust blown by the wind. Secondary sources of PM are often referred to as precursors. These pollutants are VOCs, ammonia, SOx (sulfur oxides), and NOx (nitrogen oxides) (12). These chemicals are released into the atmosphere by factories, motor vehicles, and power plants, and lead to complex reactions in the atmosphere (13). 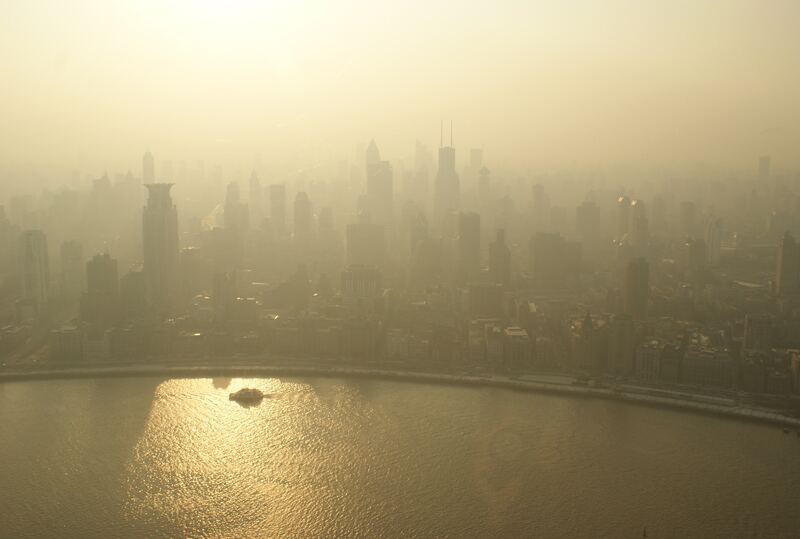 As particulate matter is so small, it is very easy to inhale and cause serious health problems. Particles smaller than 10 micrometers in diameter (smaller than PM10 and including PM2.5) are particularly dangerous as they can get into your bloodstream and lungs (14). Particle pollution can cause respiratory problems such as asthma attacks and bronchitis, increases the chances of people developing lung cancer, asthma, can lead to cardiovascular effects such as heart attacks, heart disease, and cardiac arrhythmias, and can also interfere with the growth of the lungs too (15). It has also been linked to premature death as well (16). By learning how to measure VOC emissions in the air, people can improve their environmental protection by taking actions to locate and isolate harmful emissions. Understanding that while many VOCs are released into urban areas are from man-made products, there are also a number of natural sources of volatile organic compounds that are a normal part of our environment. Learning which products outgas chemical emissions and the specific VOCs and health problems (asthma, COPD etc) they are associated with.